Another adventure begins as the family turns over a new leaf in Bonnyville, Alberta. As the winter and snowmobiling season comes to an end for the family so does the adventure in Awesomeland. 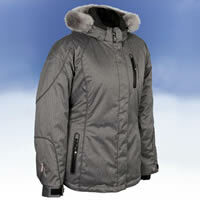 Stay warm and cozy on the trails this winter with the Ladies’ Adventurer Jacket by Choko Design. A monthly column about a family that lives off the grid in the mountains near Nelson, B.C. 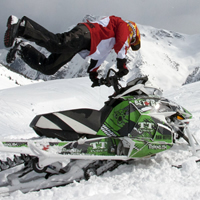 Snowmobiling has become a way of life for the family. The daily routine, dealing with the first snowfall, finding time for romance and what the author has learned from living off the grid. The author describes what it's like to live off the grid with her family in the backcountry of British Columbia. A series about a family with snowmobiles, ATVs and dirt bikes who have given up electricity to live off the grid in the wilderness of B.C.